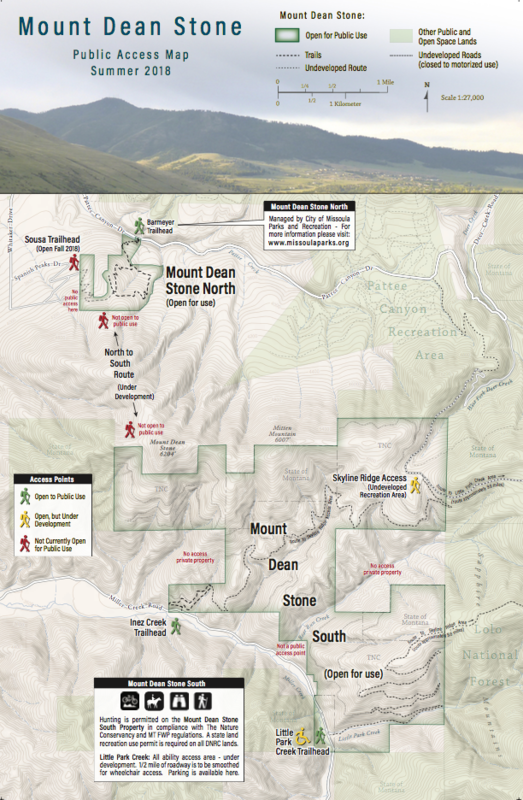 This past year, we've been busy working with our many partners to thoughtfully plan public access on Mount Dean Stone, work to create spaces for people of all abilities to access the mountain, and answer questions about wildlife habitat and wildfire close to Missoula's urban interface. Now it's time to get out and enjoy it! • Practicing good trail etiquette by picking up your dog waste, and respecting our neighbors and posted no trespassing signs. •	Being observant and gathering information about things you see—wildlife, plants, people, uses, etc., and submitting it here. •	Being patient. Some areas are already open to exploration and others need more time and planning. Please respect this process. •	Supporting this community effort with your time, money, or observations. The North to South Connector Corridor is a work-in-progress and NOT currently open for public use. Please help us by respecting private property while we work through these efforts. If you see a private property or no trespassing sign, even if you think it’s old, please respect it. If you have any questions about access, please call the Five Valleys office at 406.549.0755. Together we can help make Mount Dean Stone an open space for all. 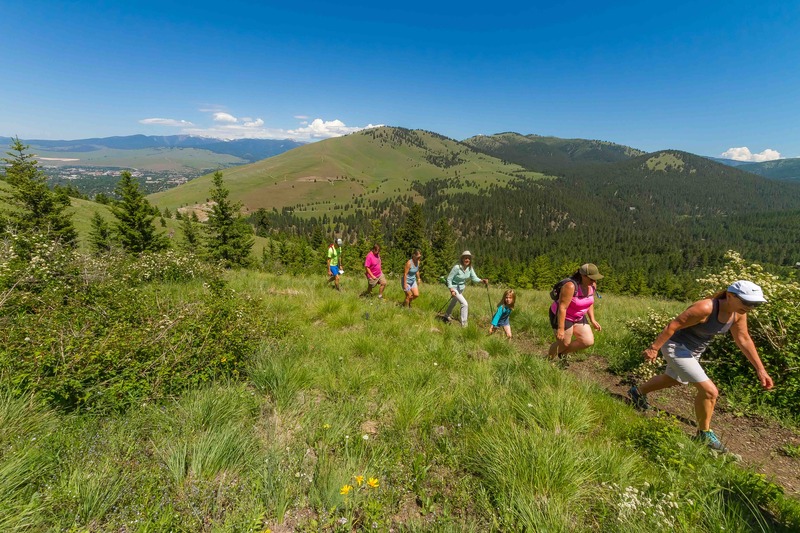 Header photo of hikers on the Barmeyer Trail by Votography Images.